There is hardly a person in the world who has not watched the movie Titanic. But few people know how it was created. 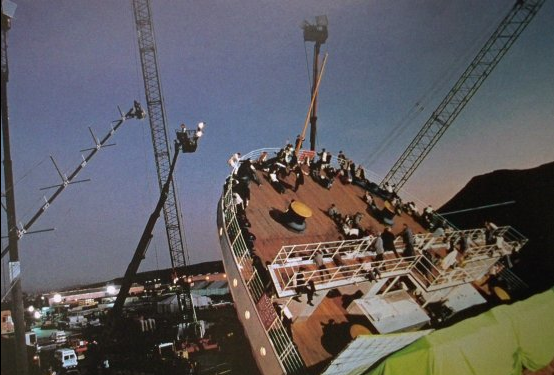 Today, LikeAble presents you with some of the most fascinating photos from the set of one of the greatest movies ever made. We are certain that our grandchildren will watch Titanic as well (quite possibly in some glorious 30-D)! 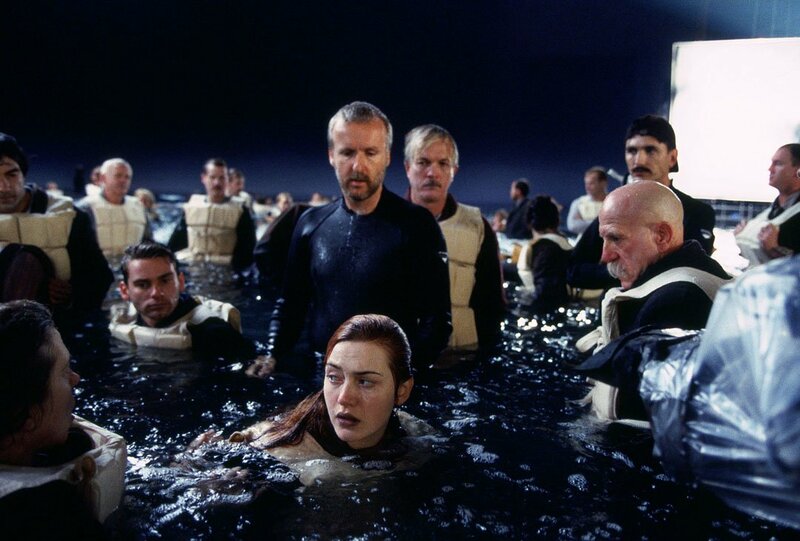 You have to agree — this famous moment doesn’t seem so romantic with James Cameron standing in the background. Looking at this photo, you don’t have to feel anxious about people losing their grip and falling into the ocean — there’s a big comfy mattress waiting for them below. And this is what the 856-foot liner we saw in the movie really looked like. This photo seems to show Rose temporarily forgetting her aristocratic manners. Who would’ve guessed that this nerve-wracking scene really took place at a “dizzying” altitude of 3 feet! Rose was doing her best trying to save Jack. She even called James Cameron to the rescue! These people don’t seem to be in mortal danger, do they?! A genius film director must also be a confident swimmer. This shot proves once again that the raft had enough space not just for two, but for three occupants! Undoubtedly, this is a case of both the actress and her stunt double deserving an Oscar!